Max Bennett is perhaps the most recorded bass player in the world, having recorded every year for 63 years, and counting. His work with Joni Mitchell (1974-77) represents a small portion of his vast discography; he has, over the decades, worked with a broad range of artists ranging from Billie Holliday to Frank Zappa, Mel Tormé to The Monkees. I contacted him to see if he would grant me an interview to talk about his work with Joni Mitchell and he graciously spoke for an hour about that phase of his life, a time he still holds dear. DB: Hi Max, I really appreciate you taking the time to talk to me. I'm looking at your website, utterly blown away by your discography! You've got to be the most recorded bass player ever! DB: Let's talk about your time with Joni, since talking about your overall career would take weeks! Your website says that Joni heard you at The Baked Potato one night and asked you to play on a couple of tracks for, I suppose, what would become Court and Spark. MB: I wasn't yet familiar with Joni at all. You know I was buried in the studio, working day and night and we started the L.A Express and were playing at The Baked Potato. Tom had worked with her, I think on either For The Roses or Blue, one of those two acoustic albums [ed. For the Roses] - he played some soprano sax on it - so somebody mentioned to her to come and see the band, because she knew Tom, and she came in and loved the band and asked us if we'd like to play on a couple of songs on her next album. Well, of course we were recording musicians, so we said "sure, fine." So we went to A&M where she recorded, and there was me, Joe Sample, John Guerin and Tom Scott - it was a quartet at the time. It became a quintet when we added guitar player Larry Carlton. So, we listened to the songs, and Joe looked at me and I looked at him, and we thought, "I'm not sure if this is going to work or not," because it was so different. The harmonic structures that she used - it was so unique. Help Me was the first tune we did. We did the whole Court and Spark album there, and after that she asked us if we'd like to go on the road. DB: So, obviously you guys were all crack readers. Did she have charts? MB: There wasn't anything to read! She played, we made sketches of what we needed - she pretty much had it set what she wanted to do on a lot of her things. Tom wrote some background stuff too for her; you know he was very good at that. I didn't have much to do with that. I just made up my own bass parts, and everyone else made up theirs and we just worked it out. That's the way it happened. DB: So did you spend quite a bit of time in the studio or did these sessions go quickly? MB: I don't remember exactly how much time we spent, but I'm sure it was several days. It went pretty smoothly, particularly after the first tune. And then, you know, it was one tune after the other. Of course we weren't involved with the mixdown. We were all so busy we kind of took it lightly at first, because we were just working day and night jumping from one date to another. At that time I was running between 20 and 25 dates a week - movies, TV, commercials and whatever studio musicians do. DB: That was the golden age for studio musicians wasn't it? MB: Yes, I was so lucky I got in just at the right time. I started really getting busy about 1960. I'd been working a lot before that too. I was with Ella Fitzgerald in '58 and then I went back and worked with Peggy Lee, but I got so busy I couldn't go out of town, so I didn't work with Peggy Lee anymore; from that point on I was busy day and night. DB: So if you were that busy in the studio it was probably a difficult decision to go out on the road with Joni? DB: I'd like to know more about how the sessions went. Did Joni record her parts first and then you add on or did you all play live or what? MB: As far as the rhythm section we did all that live. She played guitar with the rhythm section but most of her final vocals were overdubbed. Once we did the basic tracks we were off and running to the next thing, so we weren't really involved with the final process. DB: I wanted to ask about what part Henry Lewy played because not much is written about him and I guess he and Joni were kind of the production team even though there was nobody credited as the producer. MB: He was her engineer, pretty much, as far as I remember. She did all the producing pretty much herself. What happened when we weren't there I have no idea but I'm sure Henry made suggestions and so on, but she knew pretty much what she wanted to do. All the overdubs and everything, she took her time and planned all that out. She was really good at producing herself, she really was. DB: So that's rather remarkable that she had such studio savvy herself. MB: I thought so. Of course she'd done many things acoustically before that and I think that probably gave her the experience in the studio, down the road, do exactly what she wanted to do. She was very sharp about all that. Even though she couldn't read a note, in every other respect there was nothing amateurish about her approach at all. She really didn't understand harmonic structures as far as talking about this or about that; she just played and we sketched out what we needed and made up our own parts as we went. DB: That's so extraordinary. I can understand that she didn't quite have the formal vocabulary to convey what she was doing, but the records sound so beautifully made and crafted it's amazing you were kind of figuring it out as you went. DB: I got the impression that the Funk Brothers did the same thing for Motown too. They were all from jazz backgrounds too. DB: Tell me a little bit about the touring years with Joni. You said you took a bit of a cut in pay to do that but was that a pleasurable time? MB: We were making good money, if you stopped to think about what we did, we were doing very well, but we were doing so well in the studios that it didn't really compensate completely, plus the fact that we were out of town and missed a lot of dates, and so on. But the tours were wonderful. Everything was first class. We had limos everywhere, we had private planes and private buses and she treated us beautifully. Great places to stay, good food always, and wonderfully appreciative audiences... I remember one gig in particular, we were back east somewhere, and we would do our bit with the L.A Express, then there would be an intermission, then she would come on and do about five songs with the L.A Express, then we would get off the stage. She would do her acoustic set, and when she was doing that we had nothing to do so I used to walk into the back of the audience, as they were watching her, and you could hear a pin drop. People were so attentive. We had great, great, appreciative audiences; it was wonderful. As far as tours go - I've been on several tours - this was the epitome of any great tour I've ever been on. Everybody got along great, even the roadies... It was just great. Great tours. DB: You can kind of tell that on the Miles of Aisles album that the audience was hanging on every word. MB: Yeah. The Miles of Aisles album - all that was recorded at Universal. That's before they had the inside thing...we were outside, and they had heaters underneath the floor of the stage so we could stay warm! Wally Heider did those recordings. He recorded every night for I think a whole week, and then they picked the best out of that. The picture on the front is from Pine Knob, outside of Detroit. DB: Let me ask you about A&M studios. Was that a studio you worked in all the time? MB: Yes, I have no idea how many dates, in the hundreds for sure. They had several different studios: studio A was a big studio. As you walked in the door, on the left hand side was the studio we used quite a bit with Joni and she definitely used that studio for all the mixdowns. That might have been studio C I think. There was studio B on the right hand side and behind that there was a D studio. There were actually four studios at A&M -that studio used to belong to Charlie Chaplin. DB: Did you like the sound they got there? I guess what I'm asking is, when you got the finished albums that you had played basic tracks on, were you pleased with the results? MB: All the studios there were good. Two things make a good studio: good acoustics in the studio and good engineers, and the ease of playing, how everything is set up and so on. But I was always very comfortable at A&M. As a matter of fact, all the L.A Express albums were done there except for the very last album which was done up in the mountains above Denver. DB: Specifically, did you run direct or mic your bass cabinet for your bass parts back then? MB: If I remember correctly, they started with the mics but were able to get a little more sophisticated as we went along. I remember when 8-track came in it was a big deal. Then all of a sudden it was 16 track, then 24, then 32. Once they had more tracks they would mic the amp and run a direct signal and use a combination of the two. DB: Did Joni arrange her own background vocals? MB: Yes, yes, all overdubs. Once we did the basic tracks we were off the scene but she did sing with us at that time [ed. during basic tracks recording] but I imagine those vocal tracks were just tracks so we could hear what was going on 'cause hearing her voice made a big difference in what we would play, at least from my point of view. I'm sure it was everybody else's too. You know, listening to her sing is an inspiration because you want to fit whatever you're doing into what she's doing. Particularly when there's a vocal I do not like the idea of making tracks first, unless it's some commercial thing where it's already cut and dried. That's obvious, but for something creative like that, I want to hear the vocal at the same time, even if they don't keep it; generally speaking they'll take it off and put a different vocal on depending on how good it was to start with. 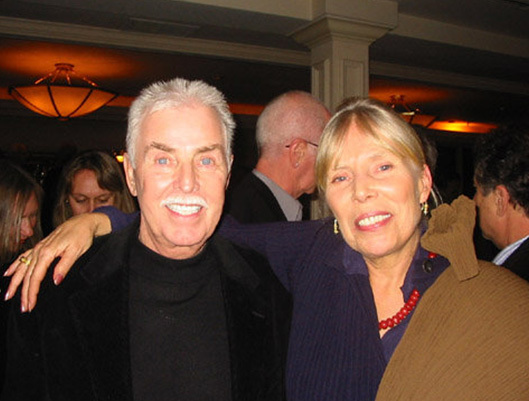 DB: Once Joni and John Guerin were together as a couple did that change the dynamic of working together as a band? MB: Not really. Of course they were living together - I guess that's common knowledge, I don't know. It didn't change anything as far as the tours were concerned, or the music. They were very tight but she was very good about including the guys who were doing all the work with her. It was more of a personal relationship as opposed to a business relationship. DB: Going back to recording with her vocal in your headphones were you paying attention to the lyrics or getting ideas from the lyric content? MB: I don't know if I'd have been specifically aware of that but I'm sure it played a part, because, you know, we would run the tunes down and everything and develop what we wanted to do within the music, and of course we did make up our own stuff because nothing was written. Naturally we'd make some notations on our own charts so we had a format to follow etc etc. But when you finally get that together plus the vocalist everything sort of complements the other thing in a way. DB: But Joni as a lyricist was supreme and she paints these wonderful pictures with her lyrics and I was wondering how much that inspired the performances? MB: It's hard to say but I'm sure it did, even in a subconscious way. Because she would always sing on the basic tracks and I always appreciate hearing the vocalist when we're doing the tracks, especially in the situation with her, as it's far more a creative process than it would be if it was just a commercial recording you were doing. DB: Was there ever a song of hers that you heard and didn't particularly care for? MB: Not really. I think all of the things that she did, when I was involved, I really liked. I can't think of anything she did where I thought "oh, don't do that." Her later things, some of the tunes I wasn't that in love with, but that doesn't really mean anything...that's just personal preference. DB: Are you talking about her 80's and 90's projects? MB: Yeah, some of the projects didn't appeal to me as much, you know, just personal taste. It's interesting you know, because that was such a great time; everything was so spontaneous, and that with the crowd reaction, the whole thing together was so good, and so right, and so musical that it's difficult to compare what I heard later in her approaches. But that's the way she was. I would assume that probably for anybody that does that there's little things along the way that aren't as great as maybe something before or something that's going to happen afterwards, but she was great on experimentation, and I give her kudos for that. DB: She probably wanted to feel like she was not an anachronism and wanted to stay current. MB: Not too long ago, a couple of years ago, my wife and I had dinner with her and went back to her house and spent quite some time listening to a ballet, a brand new ballet that was using all her music. So, she was always interested in doing something different, which is great. For a talent like that, I think it's a given. DB: It's fascinating to us devotees to see how her painting and her music are kind of intertwined. She wrote music and lyrics that had a very painterly quality and I don't know how the music infused the painting but it always seemed like they were intertwined to me. MB: Yeah. Great lyricist. I mean, if you just take the time to listen to her lyrics there's really a great message there. MB: I discussed that with her quite a bit and she mentioned that when they were recording that she pointed out a few things to him - shall we say, they were subtle, polite corrections in his playing, as opposed to what he was doing behind her. She mentioned that to me - it was kind of a laugh, in a way. He's a great musician, but the reason I get that is that when I first started as a jazz musician I didn't pay much attention to the lyrics either. I grew up in the swing era and the bebop era - that's what I got into. And my first influences were Duke Ellington, followed by Nat Cole. Then I got into the big band things although I still like Duke's band far more. Woody Herman's band I loved. Tommy Dorsey had a great band, but too commercial for my ears. But then down the road as I started playing with more vocalists - I didn't do that until later... Peggy Lee was the first person I worked with where I really started paying attention to the vocals and saw how they affect the music; she, by the way, was great to work for; very intellectual and very particular. She did a lot of commercial things but there was a special way that she did everything. And of course I got to work with Ella Fitzgerald, and I also got to work with Lady Day too, [ed. Billie Holliday's nickname] and Barbra Streisand...but that's another story! So I know where he's coming from there. I'm a professional musician. Along with Tom Scott, I started the group L.A Express in the 70's and performed on Joni Mitchell's albums, Court & Spark, Miles of Aisles, etc. This CD, which won the Grammy album of the year, is not worth buying. The musical wanderings of Herbie and the almost unrecognizable songs of Joni's are an exercise in musical futility. Herbie needs a tinkle-ectomy and most of the vocalists are totally underwhelming. Obviously, this was a politically motivated choice by NARAS!!!!!!!!!!!!!!! DB: You keep referring to commercialism, and it seems like the artists you most enjoyed working with had a kind of un-commercial streak to them, if that's fair to say, and yet the L.A Express was kind of 'instrumental' in making jazz more commercially mainstream again. MB: I don't get that. DB: Well, you were introducing funk and more of a contemporary groove to jazz, which had maybe lost some of its audience in the 60's. MB: Possible, yeah. I think what happened is Bebop kind of wore itself down. Although I must tell you, I'm not a purist. I'm for anything that contributes to the overall situation. For instance I got a lot of static from good jazz musicians 'Oh, you sold out' because I started playing electric bass. "What do you mean, 'I sold out?'" If the music is good, there's very little difference in real contemporary (jazz) ...I'm not talking about this Cool Whip crap! This smooth jazz - rule that out totally. To me it's mundane, starts nowhere, goes nowhere, singsongy, repetitive crap. There's no intrinsic value to it whatsoever. But it doesn't make any difference if the rhythm section happens to be electronic if the songs are good, they have substance and the soloists are great and play really good solos. That's all you need. This whole thing about 'well, you've got to be a purist.' String bass, acoustic piano...that's great, but I did that for fifty years. But let's move on here, okay? I guess some people thought because we didn't use acoustic instruments and all that, the L.A Express when I started it - because it was my concept... Tom Scott had this Bebop quartet signed with A&M and they dropped his contract because he wasn't selling any records. I'd worked with Tom in the studios. I got a call from him to come down to the Lighthouse and play on a Sunday afternoon, and I said "great." It was Tom, Joe Sample, and I can't remember who the drummer was - I think it was Ed Greene, who was a studio guy - and I said "is it okay if I play Fender?" and he said "sure" because he had been using a really great bass player called Chuck Domanico on string bass. [ed. Chuck plays upright bass on Blue Motel Room] Chuck never took to electric bass. So I went down and I took one tune, the very first instrumental I ever wrote, called "TCB in E," and we started playing, and something just clicked. It was just different. And Tom was kind of excited, and said "can you come back next Sunday?" So I went back the next Sunday and he brought a couple of tunes, and we revised his tunes to fit the format that I had started. So we did that for two or three weeks. The next thing you know, John Guerin had come back off the road with Roger McGuinn, and we started doing Tuesday nights at The Baked Potato. That started it - we had a quartet. By the time we'd played three or four Tuesday nights there the place was totally packed, because of the concept of the band. But I kept telling Tom we needed a guitar player so I could write the double line, the tenor and the guitar together. He wasn't sure - it would destroy the space dadadada...he didn't know if Joe Sample would like it. I said, "I play with The Crusaders and they've got Larry Carlton, and that seems to work out okay." So finally we hired a guitar player whose name I won't mention - he was okay but he just wasn't right. Larry Carlton walked in one night and that was it! And that's what became The L.A Express. But we didn't have a name yet. One night I had to go to work with Lalo Schifrin downtown at The Dorothy Chandler. And I was talking to Louis Shelton, guitar player, and I said "Louis, we've got this great quartet and it's got this really strong feel, like an express train" and he said "how about The L.A Express?" and I said "yes!" So I went to the payphone and called Tom Scott and said, "I got the name for the band... L.A Express." So it became, because of Tom, Tom Scott and The L.A Express. DB: So Larry Carlton was a monster from the start! Another thing is, I played all the great standard tunes for so many years that I wanted to write some tunes. So, this 'you sold out' thing is crap. They're just jealous because nobody wants to sit down and listen to a guy play fifteen choruses! If they want to keep doing the same thing they've been doing all their life, fine, but for me, I like to move on now and then! And I got lucky with that concept. DB: Steering back towards Joni... you played on several Joni albums that have proven to be some of the finest albums of the last forty years: did they seem that special when you were cutting them? MB: Work was work, but it did seem like extra fun, it really did. We were pretty serious about the whole thing and just tried to do our very best. I don't remember being totally ecstatic about any particular thing but it was just a great pleasure to work with her. I loved her songs - it was a totally new concept - none of us had been involved with anything like that. With all due respect, we weren't very much into what was known as 'folk singing,' but she was above and beyond that. She used to tell me guys used to tell her "that's not the way you tune a guitar!" "Well, that's the way I do it," she told them - it was totally unique. I asked Robben Ford "how is she doing that?" and he said "I have NO idea what she's doing!" DB: So, if Larry was the original L.A Express guitarist by the time Joni discovered you guys, where does Robben come into the picture? MB: Larry decided he didn't want to go on the road, and he was working with The Crusaders. We were both working with The Crusaders at the same time... I don't remember who knew of Robben or who contacted him first. He was only twenty when he joined the group. DB: You worked on the Joni albums through Hejira. Then I guess Jaco came along and she started using him. Were you friends with Jaco or what was your impression of him? MB: You mean as a person or as a player? DB: Well obviously he sort of took the world by storm as a player, but did you like what he was doing and did you know him as a person? MB: I knew him a little bit as a person. The very last tour we did with L.A Express was what I call 'the circuit.' - L.A, San Francisco, Portland, Seattle and Vancouver. So we went up the coast with us opening for Herbie Hancock. I don't know who was playing bass with him at that time but all of a sudden he got up one day and said "I can't do it anymore, I gotta go home." So in an emergency they called Jaco, and he came on the road. So I got spend two or three days with him, and I loved what he did. He's a marvelous, marvelous player, and a complete.....what's the word... he was really off his rocker! He had some serious mental problems. He had to take certain medication all the time just to stay even, and lots of times he went off his medication. He drank a lot, I remember. But, I liked him as a person and I LOVED his playing. 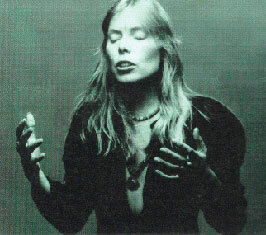 DB: So, I guess on Hejira, Joni met him and brought him in after she'd completed the album already. This might be a touchy question but did he replace any of your parts? MB: Not that I know of. But I haven't listened to that album in a while, so in fairness I couldn't really answer that question. I'd have to really listen to it. I'm sure I could tell the difference, cause he had a different sound than I did. I did use a couple of different sounds on that album. DB: Well, we've covered a lot of ground and it's been really fascinating, Max. Do you keep in touch with Joni to this day? MB: It's been a couple of years, and she's changed her telephone number. But we've always been friends, and like I say we went to dinner and she invited us back to the house to listen to the ballet thing. She's a great gal, she really is. I have the original watercolor she did of I'm a Radio, that she gave me for my birthday. And also, for the last L.A Express album we did, Shadowplay, she did the cover art. And then she made that into a print on cloth. And I rolled it up and put it away. Now thirty years later I found it and just had it put in a frame. It just looks great; she's a great talent, a wonderful artist. DB: One more question, not Joni related... could you talk a little about your experience recording with Frank Zappa; in particular the Hot Rats album from 1969? MB: Yeah, I had an evening off, I think it was a Tuesday evening, and I got a call from John Guerin and he asked if I was working that night and I said "no, I was going to stay home." He said "I've got a double session for you," [ed. a 'session' is a three hour block defined by the Musician's Union, and pay is per 'session,' not per hour.] I didn't know Frank but I'd heard about his music of course, so I called the cartage company and they delivered my stuff [ed. studio musicians were so busy they had their equipment delivered and set up by cartage companies so the player could walk in the door and be ready to record in minutes, often at several studios per day.] I got there and we proceeded to do the Hot Rats album. That was interesting because, there again, we just made it up. Frank would have a skeleton idea of what he wanted to do and we just put it together. It was kind of like the stuff we did with Joni, although he wasn't quite as specific as she was on what she was doing. We did a lot of tracks and a lot that would run 10-15 minutes. As a matter of fact, after I moved down here, I realized that he had cut those up and re-arranged them, and overdubbed different things; so, as it turned out, I ended up on five different albums of his! I know we did at least three nights of double sessions. And then I played some shows with him in L.A and San Diego. He was a great guy. I liked the first music we did with Hot Rats because it was more jazz type, you might say, where everybody was using their own input to make this thing happen. From what I understand, that album got the best reviews of any album he did. I got a call from Frank about a month or so after we did the album and he wanted to know if I could work with him, and I told him I didn't think I could because I was too busy working in the studios. And he said, well let me send you the album, and I'll call you back in a couple of weeks, so he sent it to me and I thought, wow, this looks like a lot of fun! So I started doing a few jobs in L.A with him and we started rehearsing at night, but I had to quit because I was just working too much. The band I played with was Ian Underwood, Sugarcane Harris, I can't remember who played drums at first. [ed. Wikipedia lists John Guerin as the other drummer.] Later on, Aynsley Dunbar joined us. And of course there was Frank himself. I know we worked the Olympic and several other places including some out of town jobs. Frank was a real taskmaster. And then the rehearsals when we started involved a lot of reading and the music had a lot of super duper ethereal kinds of things and it's not my trip. I don't really enjoy that that much. I appreciate atonal music but it's not really my cup of tea. I wasn't all that comfortable doing it and I realized I didn't have the time either so I told him "Frank, I love the band but I can't do it anymore; I'm just too busy." I was playing till 1 o'clock in the morning in the studios and rehearsing from 1.30 to 4am and then having to get up and make an 8 o'clock call at Universal. I couldn't do it! DB: Speaking of rehearsing , did you rehearse with Joni much, especially before tours? MB: Yes, we did. We usually spent two weeks before the tour rehearsing. It was interesting because the music was so elusive harmonically that if we were away from it for more than two weeks we usually had to run it again in rehearsal because it was so unique that we really needed to bone up on it again, just to make sure we had all our ducks in a row, you know. A friend of mine who builds basses wanted to do an interview with me recently and he wanted me to sit down and play with the album along to Help Me, and I had to get the album out and run through it; if you held a gun to my head I couldn't play it just from memory! DB: I don't suppose you have any of those scratch charts that you did stuffed in a drawer somewhere? Those would fetch some money on Ebay! MB: No, I don't. We probably pitched them. I guess I don't think very commercially like that! The same thing happened with the name "L.A Express." Since I had come up with it I went out and had the name copyrighted. But after a few years it was going to cost me a thousand dollars to renew it, and I thought, we don't have the band, so why don't I just drop it? Well, guess what? It wasn't more than a month after that the football team picked it up. If I had still owned that name and they wanted to buy it I could have made some money for myself! Coulda, woulda, shoulda! DB: Regarding the keyboardists on the Joni tours. If Joe Sample was the keyboardist in L.A Express how come he didn't tour with you guys? MB: When we went on the road with Joni, Joe said he couldn't go because he was one of the original members of The Crusaders and couldn't leave town. DB: I want to thank you so much Max for taking the time to talk to me. This has been so fascinating to learn about that time from someone who was right there. MB: Well, I'm glad to do it. I hope you don't feel I was overstepping my bounds talking about the jazz thing, but I'm really sick and tired of purist guys telling me I was selling out. I did all that, playing string bass for many many years and loved it. But I got tired of just playing standards, and that's why I started to write. How many times can you play How High The Moon before you get really sick of it?! This article has been viewed 16,585 times since being added on September 12, 2011. This interview rocks! It's probably the clearest description of how Joni works in the studio I've ever read. Fascinating, every word! Still wanting for more on the man behind the curtain, Henry Lewy. Thanks Max, and thanks especially, Dave!